Book through Klook and get to go on a lovely lunch or dinner cruise along the gorgeous Seine River! Enhance your lunch or dinner cruise experience with limited time offers available on or before 31 Mar 2019 only! 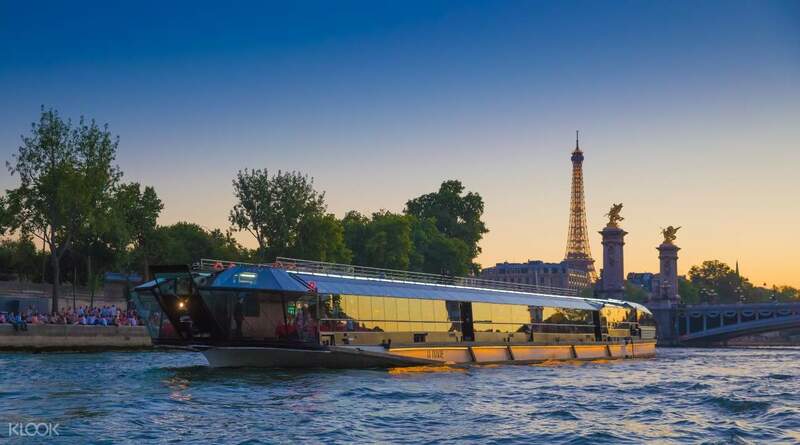 The City of Lights has a romantic atmosphere and there’s no better way to immerse yourself in it than to go on a lovely lunch or dinner cruise along the Seine. Book through Klook and get to enjoy a little over two hours on a filmic boat ride along this gorgeous river while feasting on a delectable French appetizers, meals, and desserts! While you delight in the delicacies you’ve selected, you can look out the window and marvel at Paris’ monuments. The boats for this cruise also have upper decks with open roofs that’ll give you a better view of the cityscape. 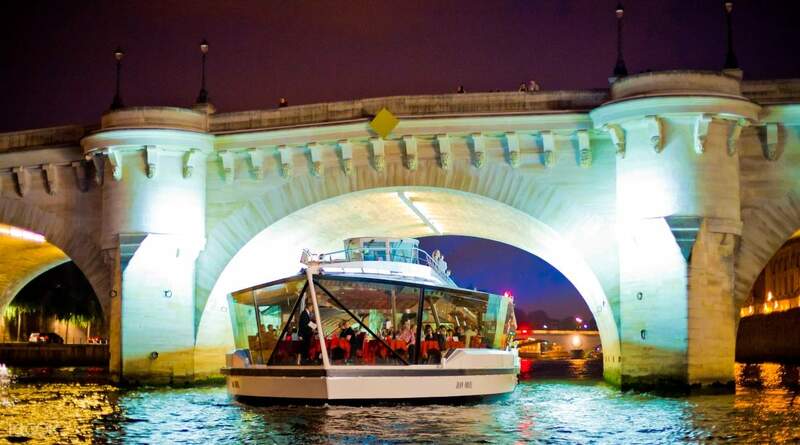 If you take the dinner cruise, you’ll be able to watch France’s capital burst into life in the evening with mesmerizing nightlights. If you select the dinner cruise with the New Year's Eve Special Menu, a pianist and violinist will play classical music to set the mood and tone for the entire evening. This is definitely a must for any adventurer going on a trip to Paris, especially for those traveling with their significant others. 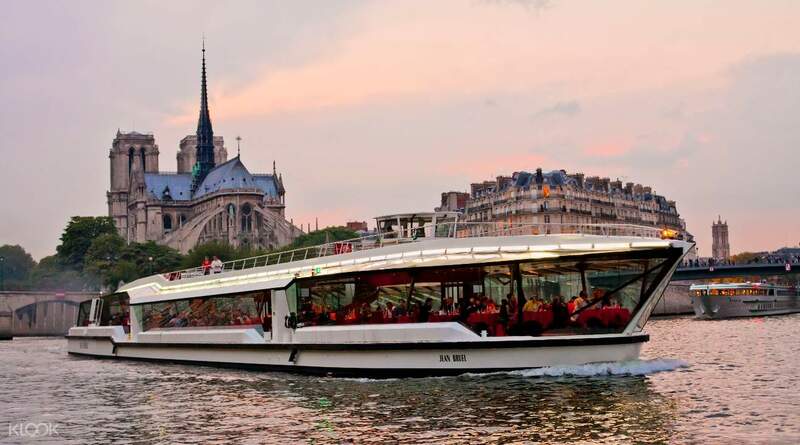 Book through Klook and go on a lovely lunch or dinner cruise along the Seine River in Paris!